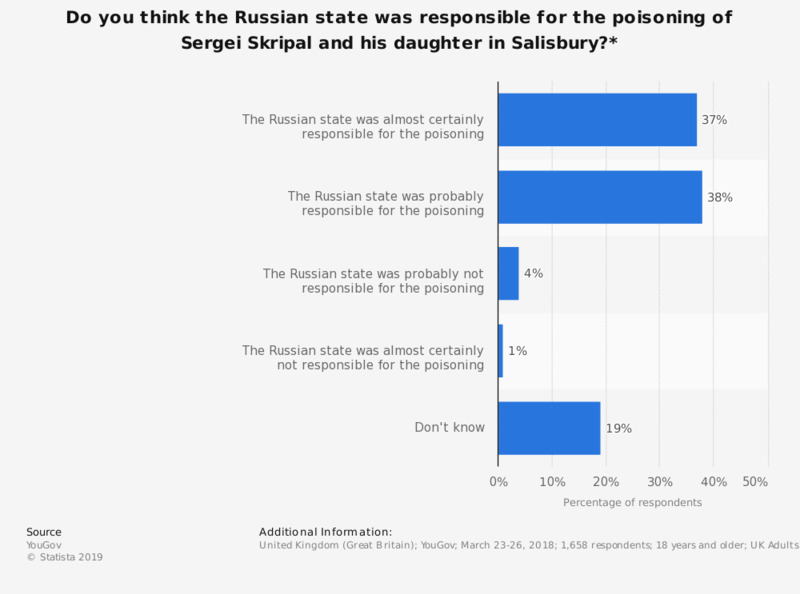 This statistic shows the results of a survey of UK adults regarding the poisoning of Sergei and Yulia Skripal on 4 March 2018 in Salisbury, and whether they thought the Russian state was responsible or not. According to this survey most UK adults believe the Russian state had at least some degree of culpability, with 38 percent believing Russia was probably responsible and 37 percent being almost certain of this. Only 1 percent of respondents were almost certain Russia bore no responsiblity for the attack. * This question was phrased by the source as follows: "This month, three people, including Sergei Skripral, a former Russian spy, were taken seriously ill in the UK after being poisoned by a nerve agent. From what you have seen or heard about this event, do you think the Russian state were or were not responsible for the poisoning of Mr Skripal and his daughter"
Thinking about the future of the House of Lords, which of the following would you most like to see? When it comes to a post-Brexit trade deal, which comes closest to what you would like to happen? Donald Trump has been invited to make an official State Visit to Britain, do you think this should go ahead or should it be cancelled? Do you think British foreign policy in the Middle East is generally going in the right or wrong direction?